Markforged's vision is to empower engineers to create strong parts-as metal, finished parts using the right materials for the job and to remove the multiple barriers between design and a final product. Coupled with PIPL's support, this printer line is designed to help you get your job done quickly and efficiently. Pelf Infotech is offering Markforged 3D Printers with high strength materials as plastic, composite, and Metal. Pelf Infotech is certified technical support provider and service contracts for all products. 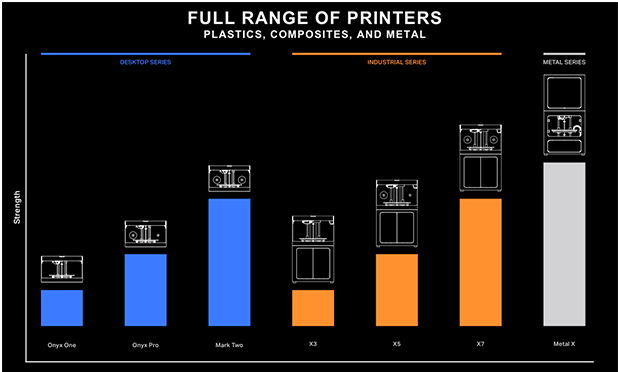 Desktop composite, Industrial composite and Metal 3D printers. Print parts with the strength of Aluminum. 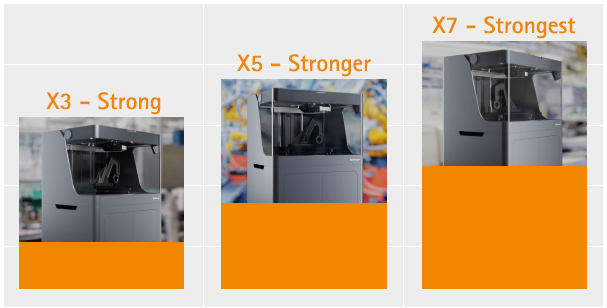 Large format, High Precision, and fully instrumented, these printers deliverexceptional accuracy, reliability and repeatability - perfect for manufacturing line Jigs, Jaws, Tools, and Fixtures.Designed for accuracy and built to survive the production floor environment - the X series effortlessly delivers the toolsyou need to keep your line running. The engineering excellence of the Industrial Series in a form factor that fits on your desk.Industrial grade hardware,cloud managed software, and engineering grade materials combine to allow you to print light, strong replacements for machined aluminum tooling. Now, your parts are ready same-day for a fraction of the price. 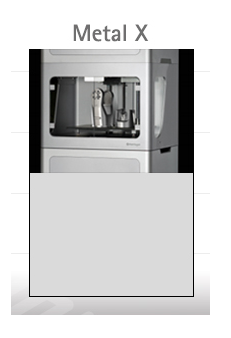 The Metal X is the world’s first Atomic Diffusion Additive Manufacturing (ADAM) machine. It’s up to 10x less expensive than alternative metal additive manufacturing technologies — and up to a 100x less than traditional fabrication technologies like machining or casting. Affordable, reliable, and easy to use, the Metal X print system gives you everything you need to go from design to fully functional metal parts in under 24 hours. Markforged materials designed to strong, high quality, uncompromised parts, Markforged3D Printers™ are the world’s first 3D printers capable of printing continuous carbon fiber, Kevlar®, and fiberglass. Using a Continuous Filament Fabrication (CFF™) print head alongside a Fused Filament Fabrication (FFF) print head, Markforged printer scan create functional parts by combining specially tuned nylon with continuous fiber filaments.Engineered parts for toughness, strength, high temperature, stability and resilience. 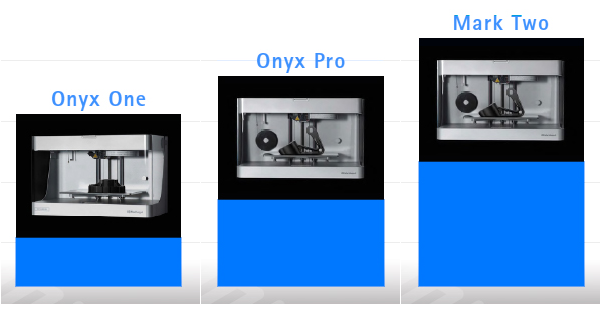 Onyx material is compatible all Markforged printers starting with the Onyx One. It is a beautiful black filament made from combining tough nylon with micro-carbon reinforcement. Onyx gives you stiff and dimensionally stable engineering grade parts, with twice the strength of other 3D printed plastics. Onyx parts have a high quality surface finish and high heat tolerance. Onyx yields stiff, strong, and accurate parts. 1.4 times stronger and stiffer than ABS, Onyx can be reinforced with any continuous fiber. Excellent surface finish, chemical resistivity, and heat tolerance. Tough Nylon filament is flexible and impact-resistant and can be stiffened with any of our continuous fiber options. It’s a highly versatile 3D printing material both with and without reinforcing fibers. Carbon Fiber has the highest strength to weight ratio of our reinforcing fibers. Six times stronger and eighteen times stiffer than Onyx, Carbon Fiber reinforcement is commonly used for parts that replace machined aluminum. Fiberglass is our entry level continuous fiber, providing high strength at an accessible price. 2.5 times stronger and eight times stiffer than Onyx, Fiberglass reinforcement results in strong, robust tools. Five times as strong and seven times as stiff as fiberglass, High Strength High Temperature (HSHT) Fiberglass is best used for parts loaded in high operating temperatures. High Strength, High Temperature (HSHT) Fiberglass is a material uniquely designed for users who need strong parts in higher temperature environments (over 105°C, with a heat deflection point of 140°C). Support is available through success plans. These cover wear and tear and accidental damage. Success plans go above and beyond the 1 year warranty. This will also provide you with certified support via web, phone or onsite visits. These plans are priced separately for each level. Check out the Success Plans for your printer today.